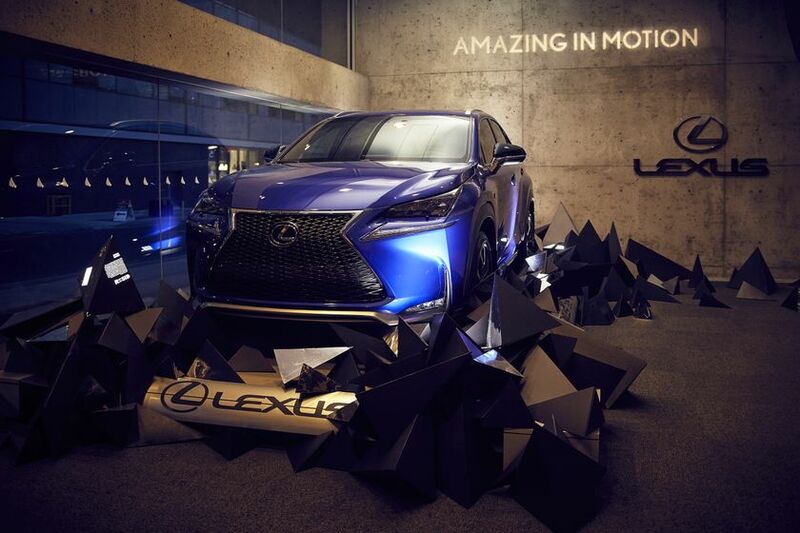 TORONTO, ON , Jun 1, 2015 – What do a luxury car company, a concert hall and a Toronto university have in common? They have come together to recognize and reward up-and-coming interior design talent in a unique commercial approach. 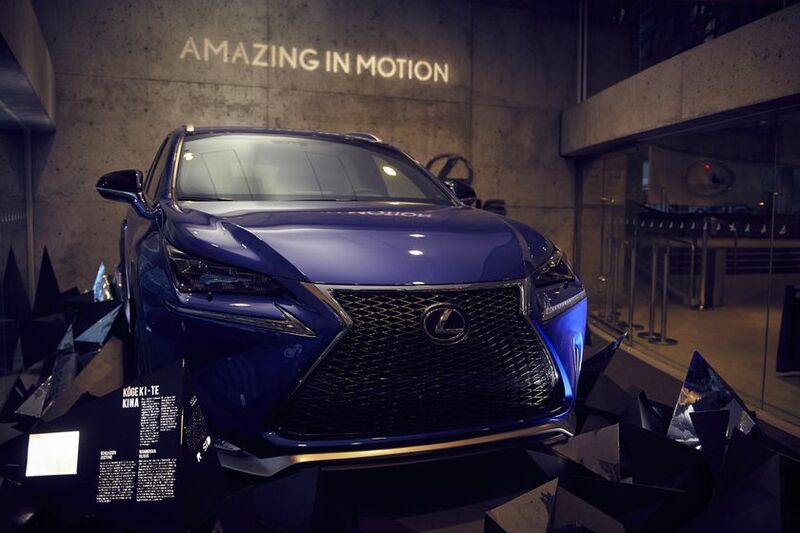 From May 23 until the end of August, the large window in front of Roy Thomson Hall in downtown Toronto will feature a new display that showcases the stunning 2015 Lexus NX F Sport. But it will represent far more than that. 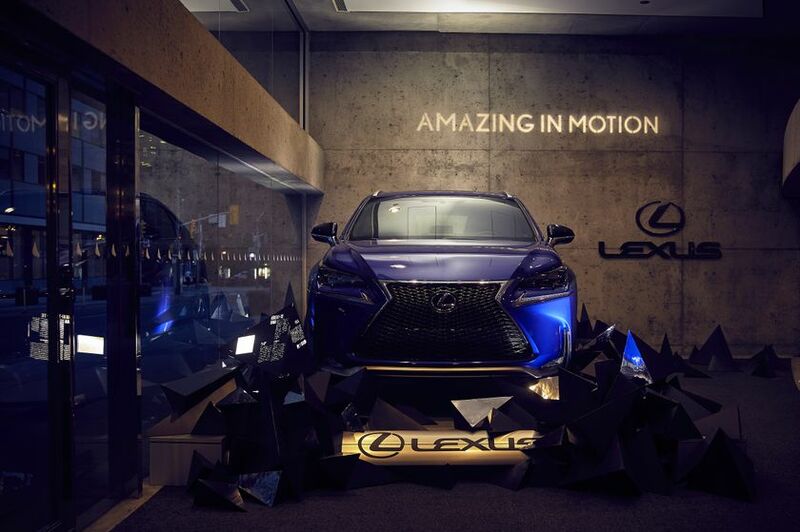 The display window serves as a testament to the talented students at Ryerson University’s Faculty of Interior Design. The area is designed by two students – Olivia Manderson and Justine Schlosser – whose submission was selected in a competition among the Interior Design School’s students. 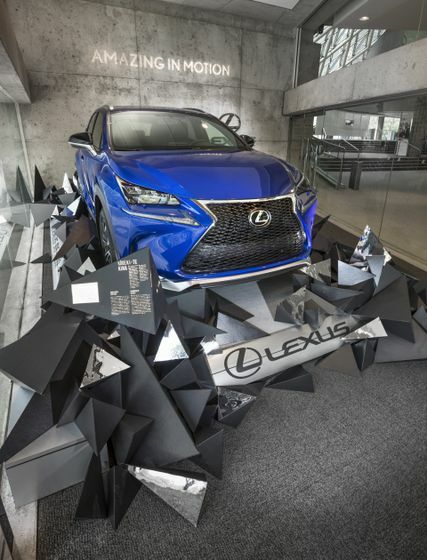 In April, students submitted their design concepts for the display housing the new 2015 Lexus NX F Sport. Scoring involved a 25-per-cent attribution to brand representation (performance, style, and design focus); creativity; feasibility of development; and relevance to the target buyer. 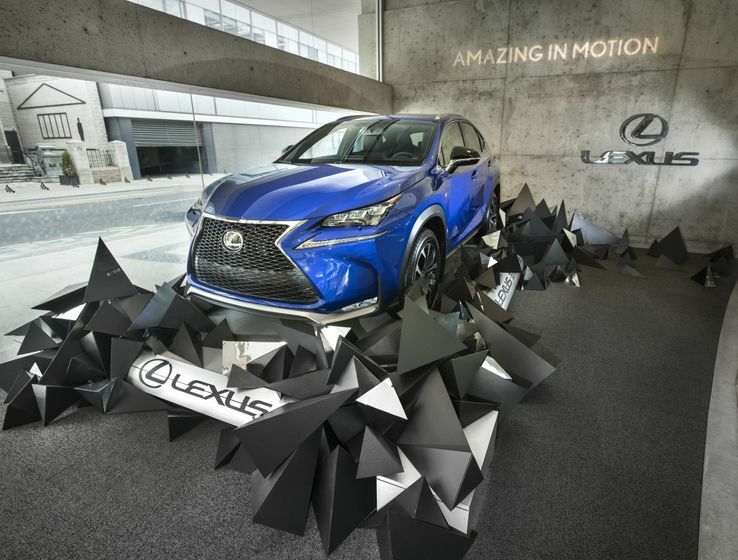 The winning submission – entitled “Kōgeki-tekina” – is inspired by the striking physical form of the NX, focusing primarily on its underlying geometric shapes that create the vehicle’s aggressive yet fluid design. 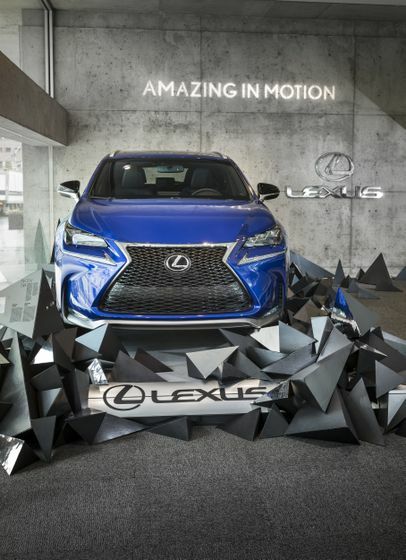 Drawing upon the Japanese art form of Origami, three triangular prisms were extracted from exterior forms of the NX and locked together to create a complex, yet systematic web that begins at the floor of the display area, crawls up to the vehicle, and then ends at the back wall of the window space. Roy Thomson Hall is located at 60 Simcoe Street in Toronto. The students’ display can be seen near the hall’s main entrance facing Simcoe Street.